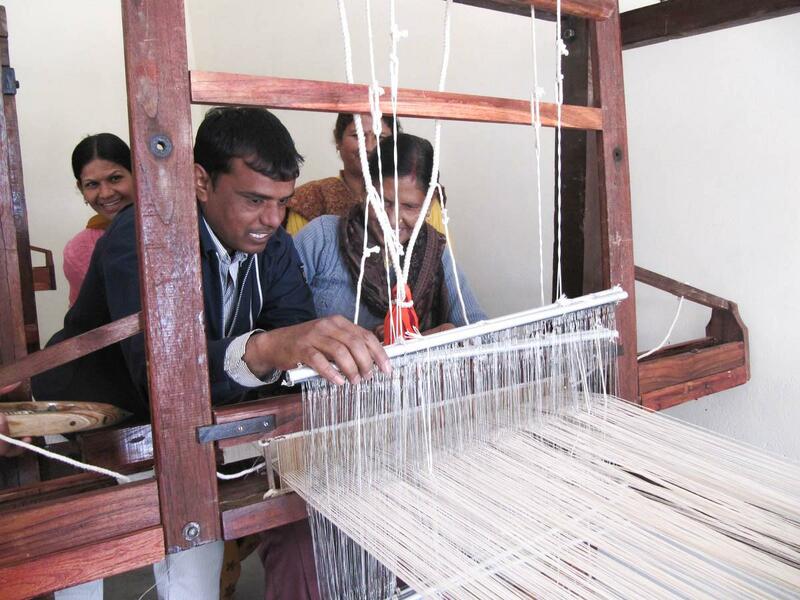 The Education for Employability Foundation (E2F) supports DueNorth’s craft livelihood initiative. 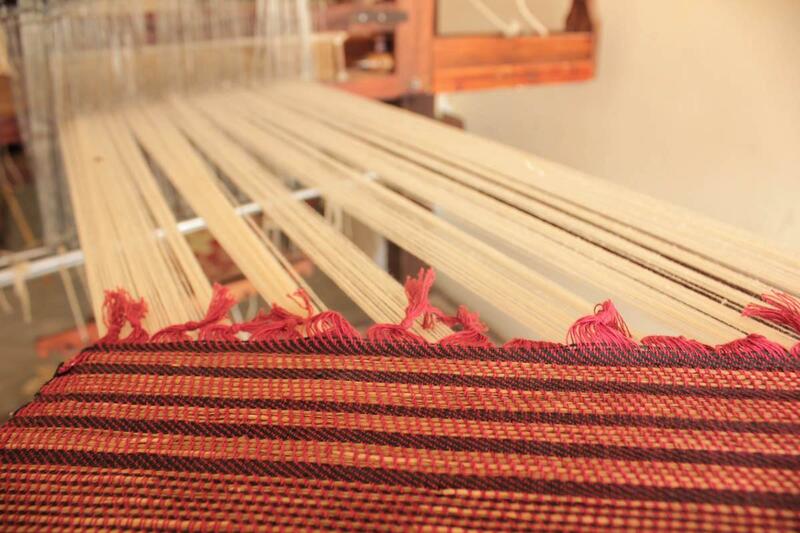 The project begins with community mobilization; skill building training, production and marketing of locally based crafts to build sustainable livelihoods across the region. 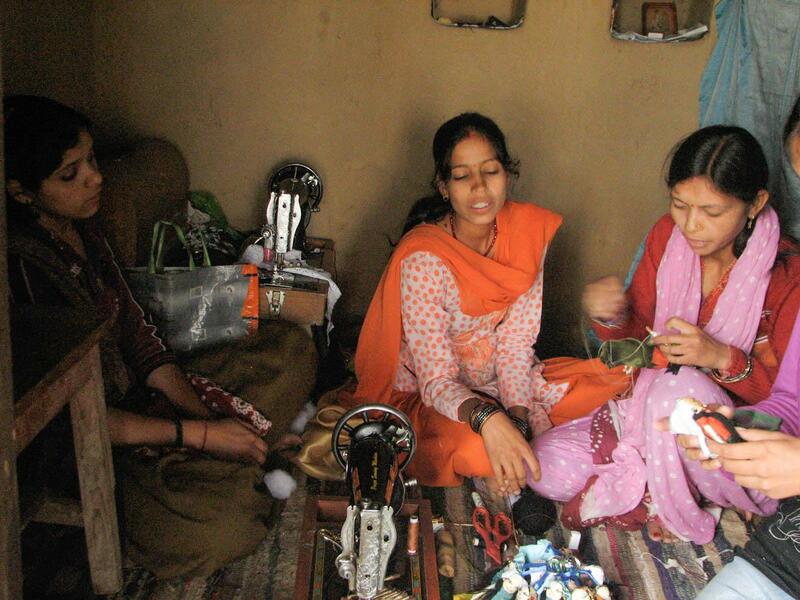 DueNorth’s focus is to empower women in rural mountain villages providing them with pride and economic independence. Through recent support from the National Bank for Agriculture and Rural Development (NABARD) we are expanding DueNorth’s reach to cover 95 women’s self-help groups (SHG’s). 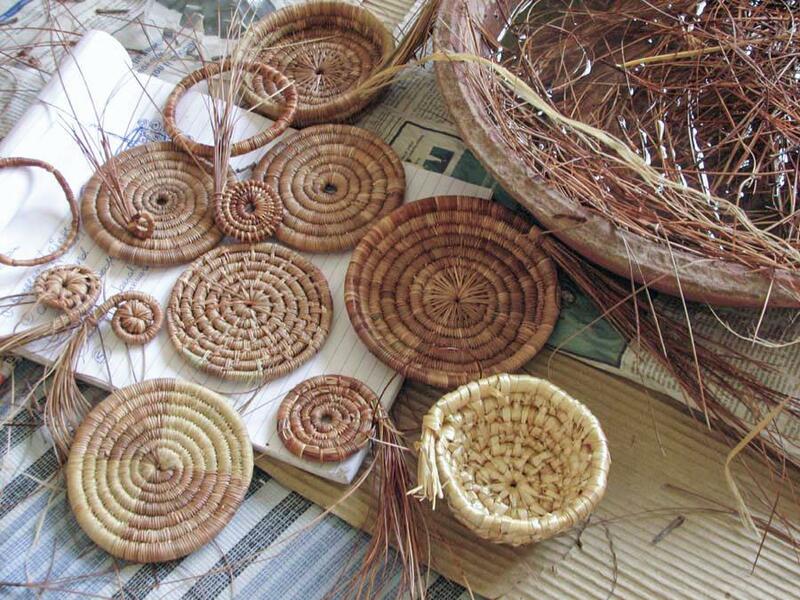 These groups will train in Agro-produce, tourism service industries and handicrafts. 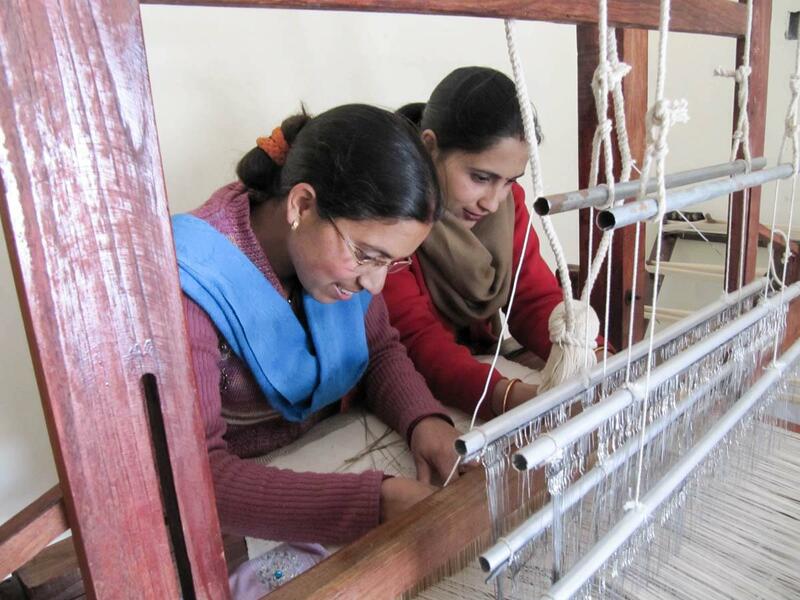 We have established a training centre for crafts at Chamba as the focal point of our SHG initiatives attracting talented professionals from India’s premier craft and design institutes. 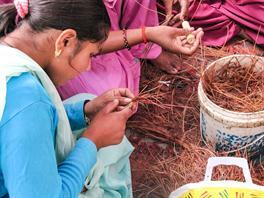 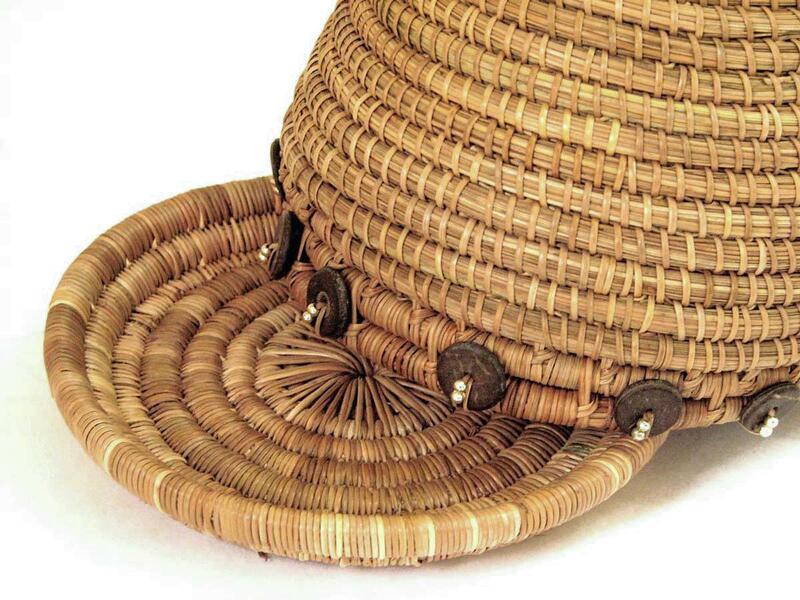 DueNorth is initiating handicrafts made with dried pine needles that lies in abundance throughout the Himalayas and has not previously been used for products. 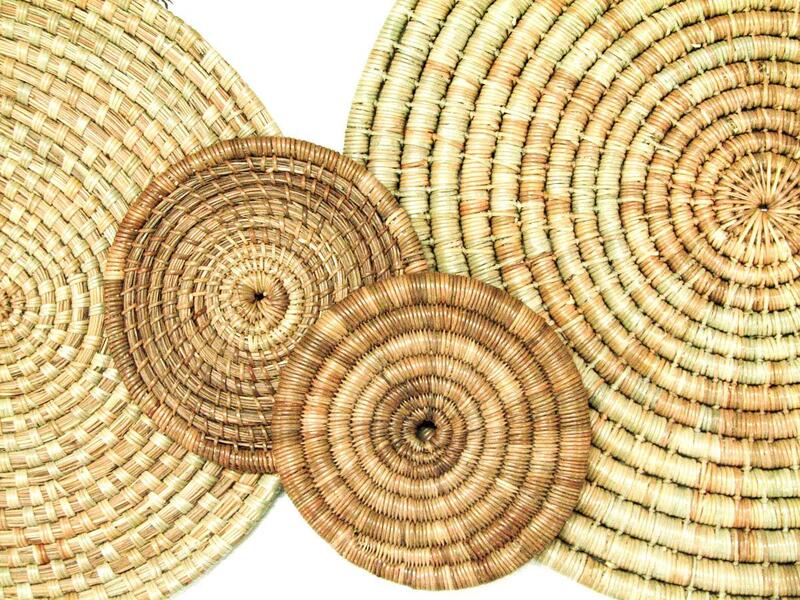 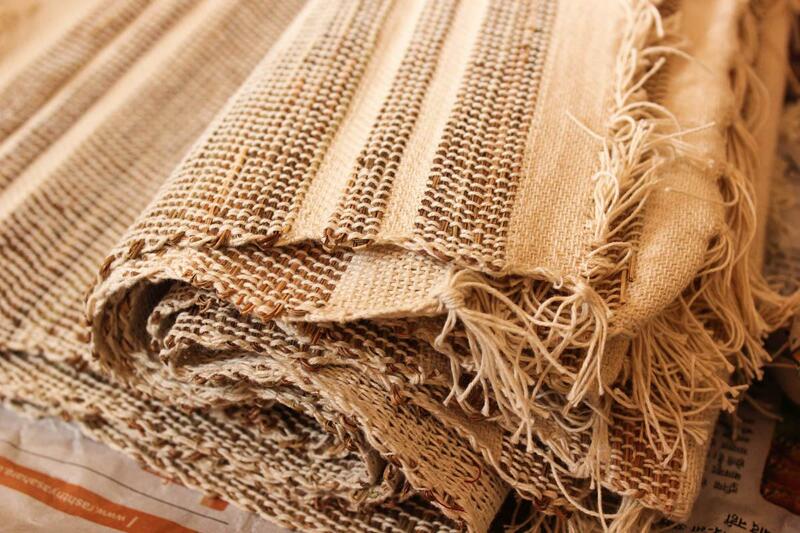 By creating products from the local area we not only assist in the socio-economic craft based livelihood but also address environmental issues by making use of dormant materials that speak of the beauty of Uttarakhand. 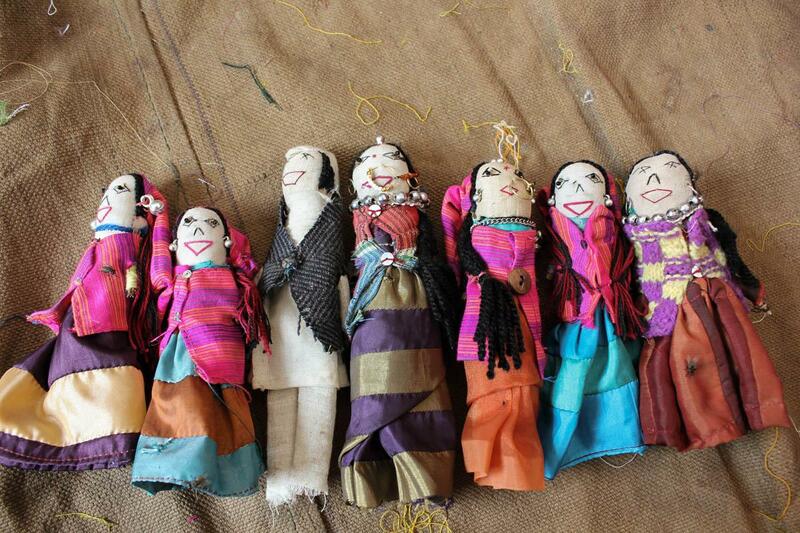 The first of many souvenir projects is a doll-making workshop creating cloth dolls dressed in local traditional garments. 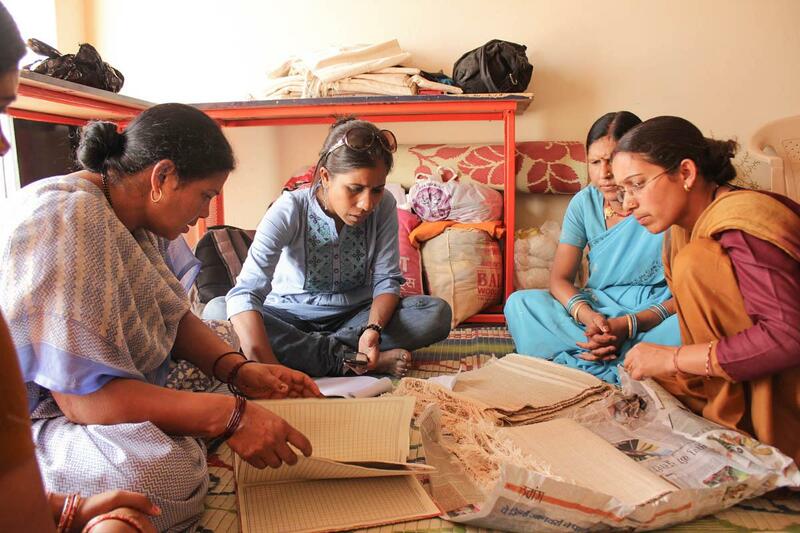 Trainees are learning about production methods and quality control. 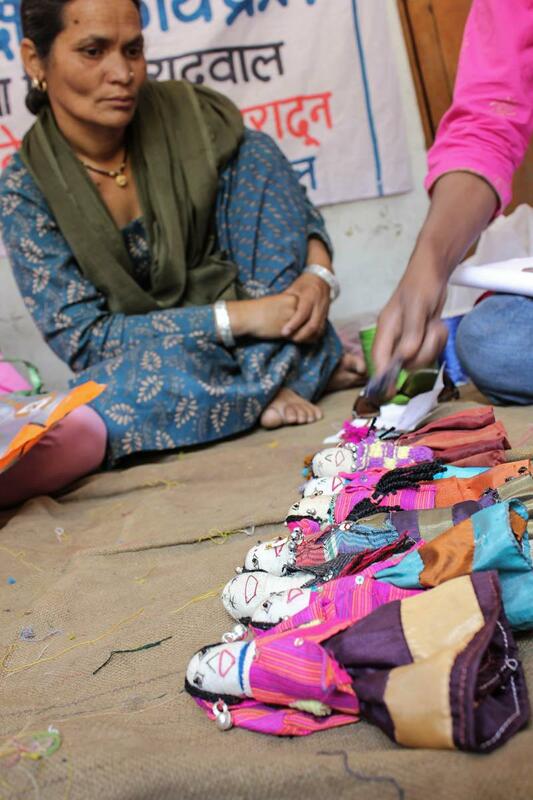 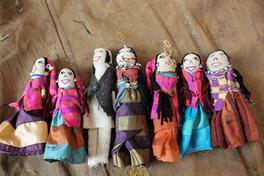 They are discussing how they wish to represent their families to visitors through these dolls. 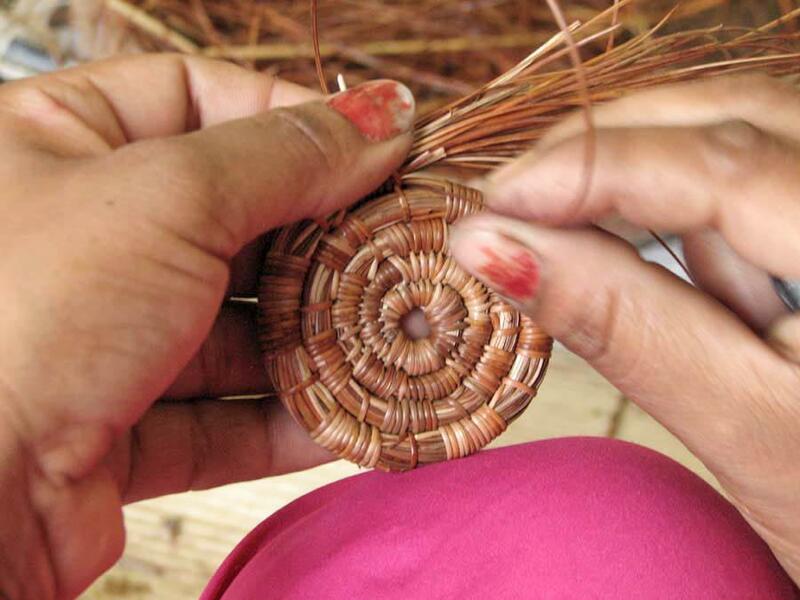 These exercises not only facilitate recognition of the cultural roots of communities but also act as a memento of understanding what is special about the place visited.